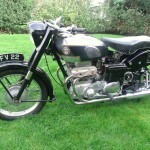 Restored 1955 Ariel Square 4 Motorcycle. 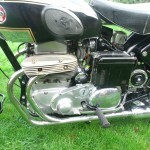 This Ariel was stripped back to the frame and rebuilt by its owner. 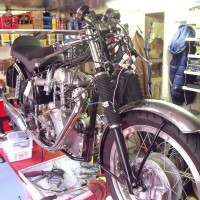 The engine was taken apart, checked and assembled with many new parts. 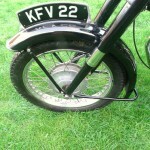 New wheel rims were joined to the refurbished hubs with new spokes. 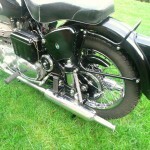 The fuel tank and all of the bodywork was refinished to a very high standard. 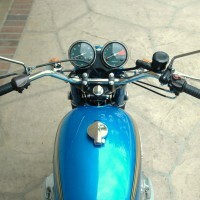 All of the chrome items were re-plated. 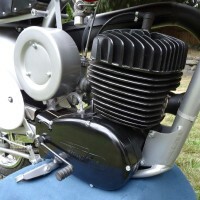 The aluminium engine cases were hand polished. 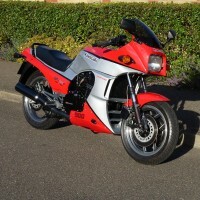 The frame was painted in the original colour. 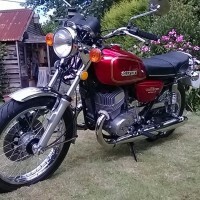 A very nice restored Ariel Square 4 Motorcycle. 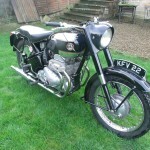 Ariel Square 4 – 1955 For Sale or Wanted? 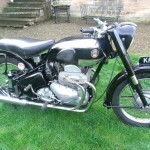 If you're looking for the perfect Ariel Square 4 – 1955 for sale then take a look at the hundreds of restored classic motorcycles listed on our extensive Motorcycles For Sale pages. 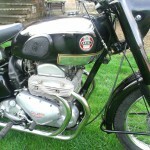 We regularly feature very nice restored Ariel Square 4 – 1955 bikes for sale. 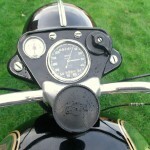 Spares and Parts for your Ariel Square 4 – 1955? 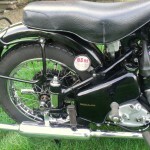 Workshop Manual for your Ariel Square 4 – 1955?